Who would have thought we’d be on a thirteenth issue of Ms. Marvel now? These days the market can be very unforgiving when it comes to brand new characters. 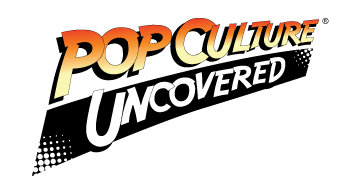 As both Marvel and DC can attest to, it’s very difficult to introduce a new character, whether with a new name, or a re purposed one. So when Kamala Khan was initially introduced as the new Ms. Marvel, people were rightfully skeptical about whether she’d still be here after 12, or even 6 issues. Yet here we are, with 13 issues under her belt, and Kamala Khan is for the better a veteran of the Marvel Universe. That being said, Ms. Marvel has changed quite a bit since its inception. We’ve been introduced to Kamala’s world in the Marvel version of New Jersey, become familiarized with her supporting cast, and even her first supervillain. Speaking quite frankly, we haven’t had a teenage superhero book quite this dynamic since Ultimate Spider-Man. The thing that’s separated Ms. Marvel, from the rest of the herd, and even its predecessors is honesty. Honesty in showing the normalcy of post-immigrant life, how embarrassing family can be, the normalcy of being a nerdy teenage girl in the 21st century, and the beauty of all those things. To put it in perspective, Kamala is one of very few Muslim superheroes that Marvel has, much less publishes on an ongoing basis. That made her existence as a character anomalous from the get-go, much less making her one of the big leads in a new initiative and in a familiar name at that. Having said that though, the willingness to stick with Ms. Marvel has paid off here, creating a character such as Kamala has shown that there’s still many different angles one can take with the teen superhero genre. Though without G. Willow Wilson, none of this would’ve been possible. A large part of what makes Ms. Marvel works is how everyone is written with 3 dimensions and understandable motivations. Even with things like an alien city, a giant teleporting dog, and New Jersey being a part of the proceedings, the characters of Kamala, Bruno, her family, and even the villains are kept in perspective and relatable. With regards to the supporting cast, I’m of the belief Ms. Marvel has one of the best ones in superhero comics at the moment. Even with a relatively small amount of issues, there hasn’t been a family unit this distinguished since John Rogers and Keith Giffen’s seminal Blue Beetle run and (again) Ultimate Spider-Man. We often take it for granted given how often characters will get setup in team books, or how superhero books can cheat and use other superheroes as a supporting cast crutch in lieu of having regular people around. Wilson instead has taken a lot of care to flesh out Kamala Khan and her family as real human beings. We get insight into her home life, her family’s personality, and how their faith impacts their lives. While the Inhumans are relatively frequent guests, they also don’t upstage Kamala in her own book, and they keep the flavor of the book from being bland. A large part of the book’s appeal has been the consistency of the art. Adrian Alphnoa set down a compelling style for the book, which his successors have followed. Even in the latest issue, Takeshi Miyazawa who while working from the style he always has, is undeniably operating within the tone set from issue 1. While an in-house style can often be troublesome, consistency in choices of artist can be great for a single work, and in Ms. Marvel’s case the internal consistency has helped keep the book distinctive in the face of the reality of double-shipping. 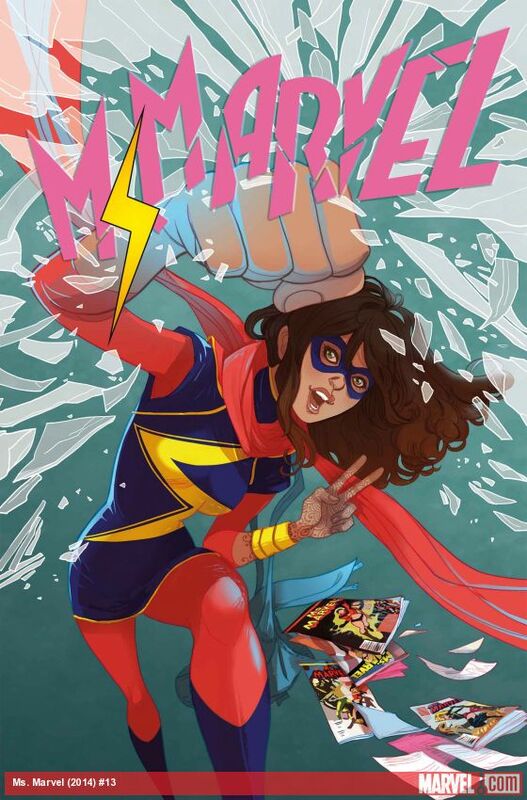 The book has never had a problem with finding artists who are able to channel the bubbly action-packed nature of Kamala Khan. That being said, it’s a simple choice to recommend this book. It’s the sole remaining Marvel book at 2.99. Now that in itself is little reason to buy it, but combined with heartfelt writing, and gorgeous art you have yourself a bona fide steal. If you’re looking to press Marvel to continue to push forward on better books, put your money towards Ms. Marvel.